This poor guy went on a stag in Mullingar over the weekend, fell asleep in the sun and woke up sunburned from head to toe. He wandered into work later in the week, and his co-workers noticed he was limping. Eventually he showed them why. He wasn't just sunburned, but it developed into such a nasty blister that it had every guy here in the JOE offices turn a shade paler when we first seen it. Yep, they put a little bit of cream around it to make it look like a fried egg. And that's us never eating fried eggs ever, ever again. 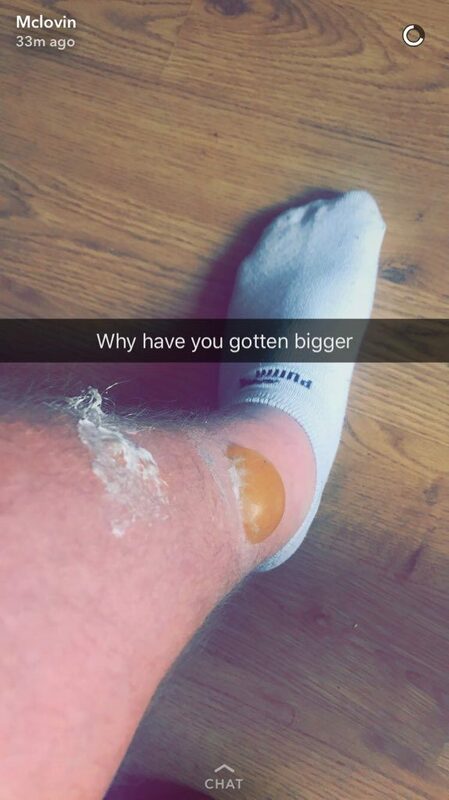 We got in contact with the Gareth Clarke who posted the image for more info, and he got back to us to let us know that the blister had somehow - defying all laws of science and gravity - managed to get worse.